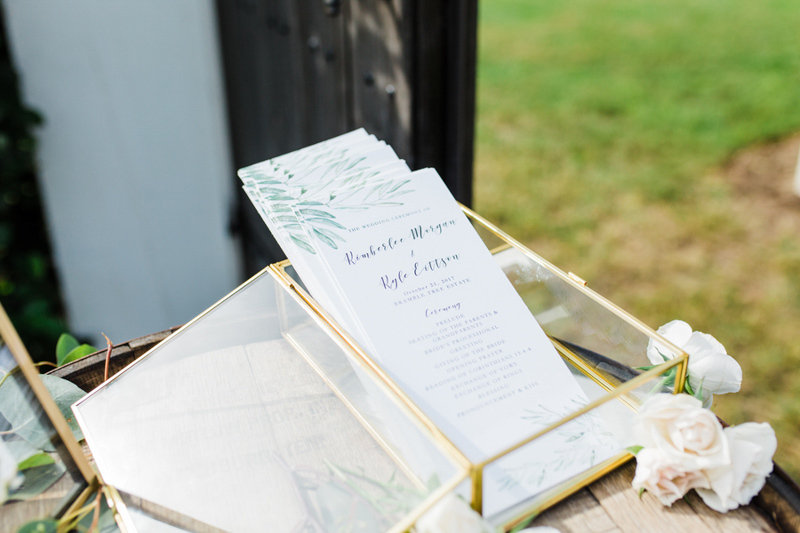 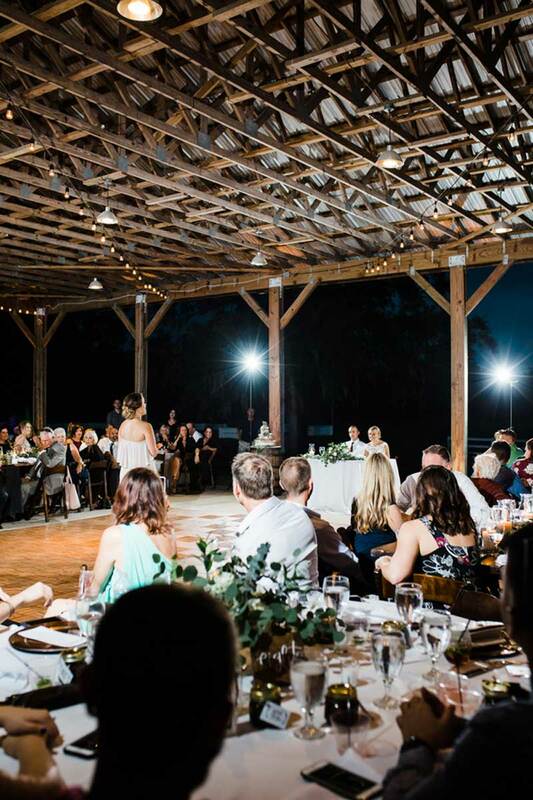 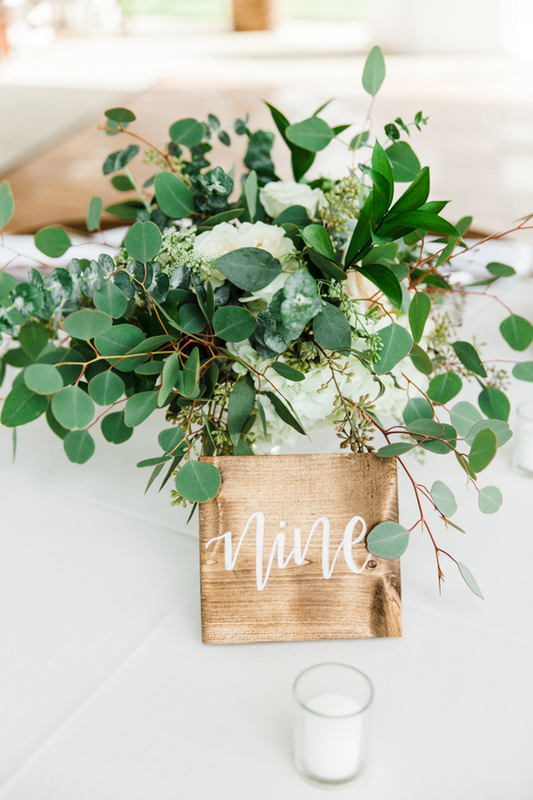 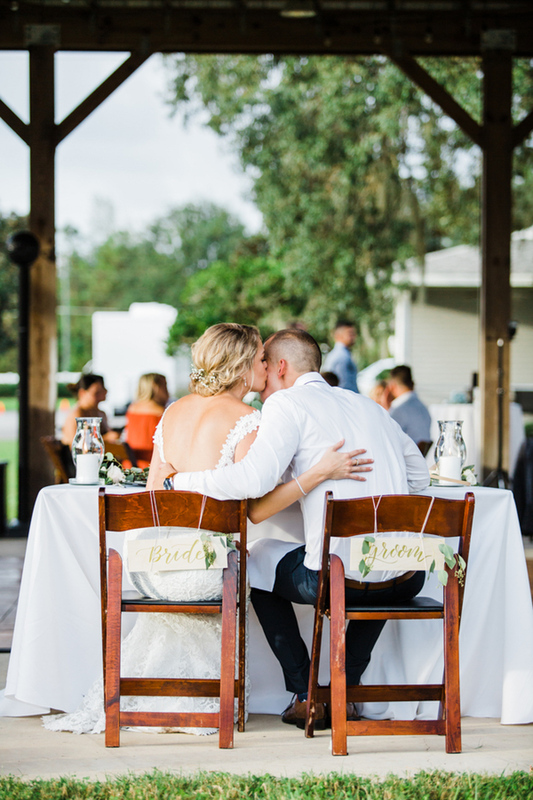 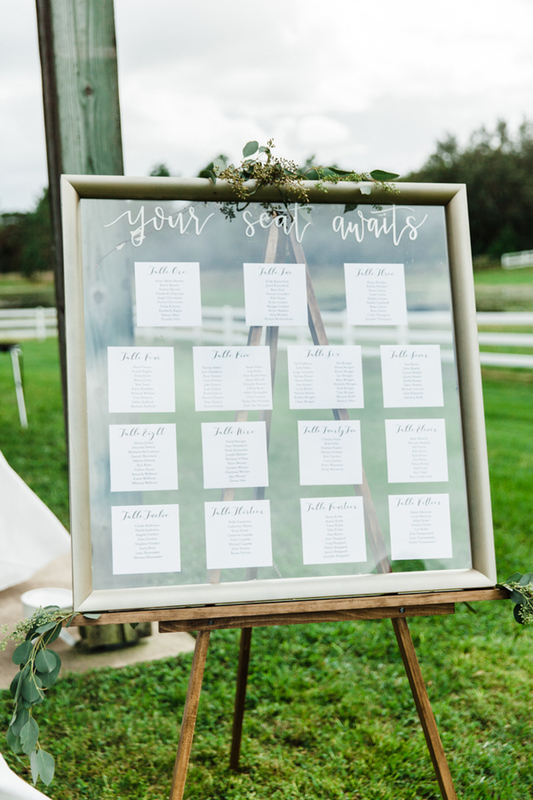 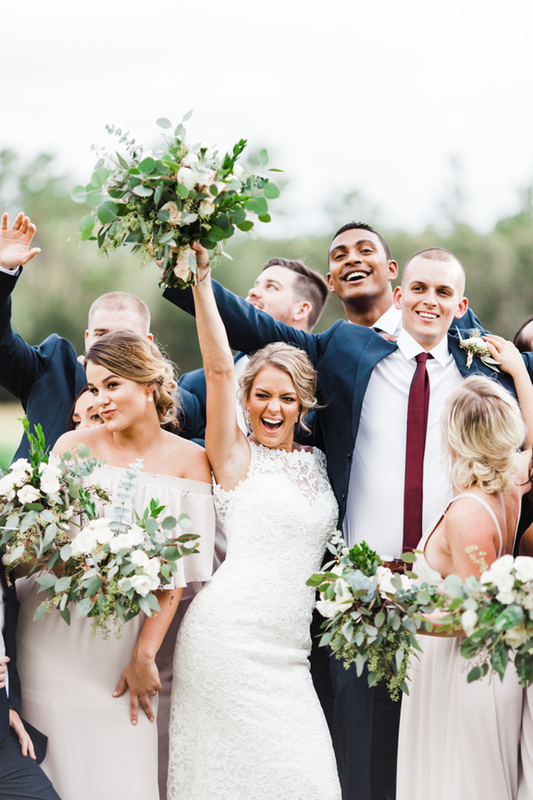 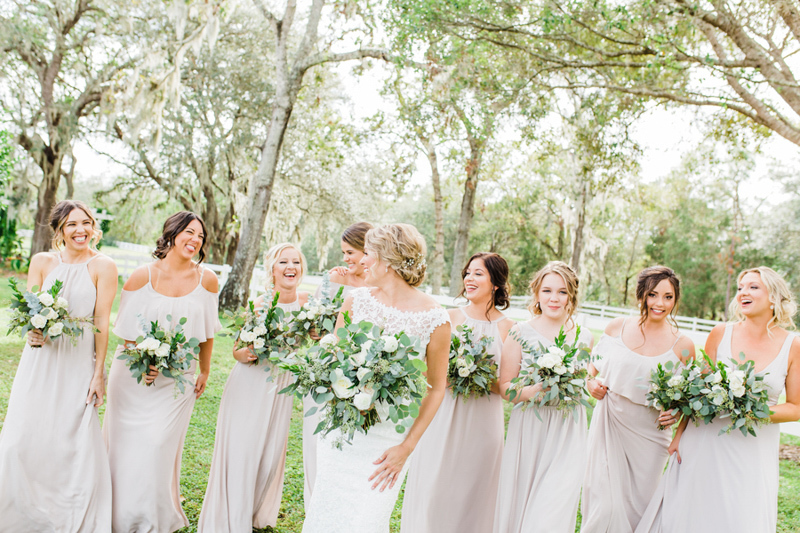 Bramble Tree Estate is full of greenery and pretty portrait spaces - perfect for a modern rustic wedding like Kimberlee and Kyle's! 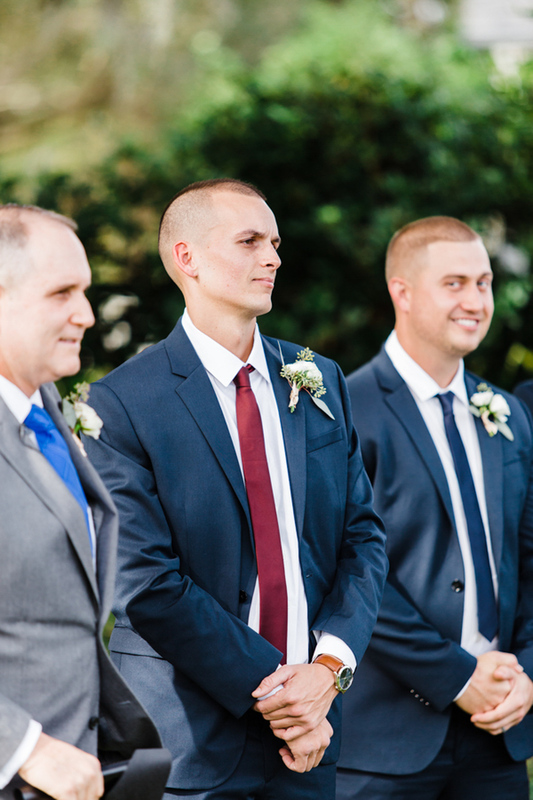 She exuded femininity in her fitted, low-backed gown, and he looked sleek and dapper in a blue suit and custom cuff links. 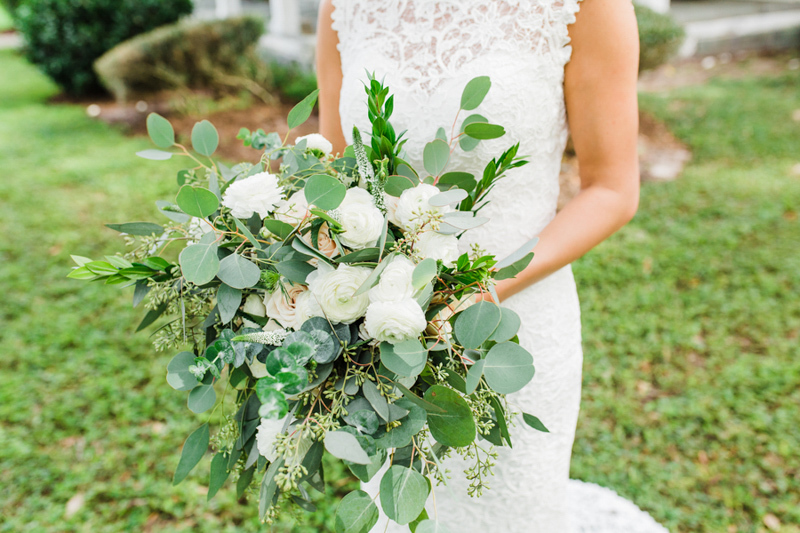 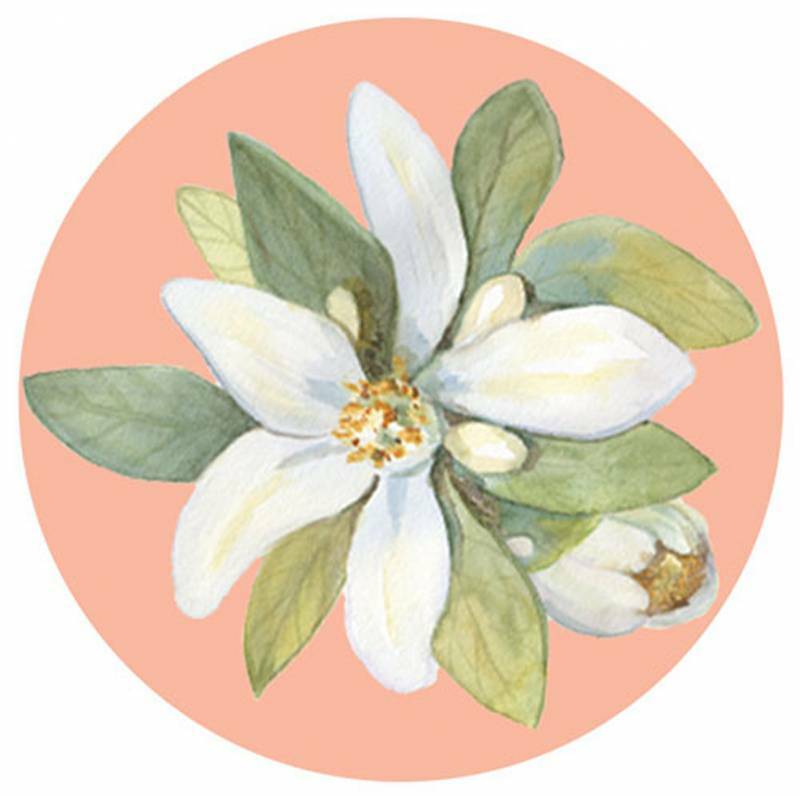 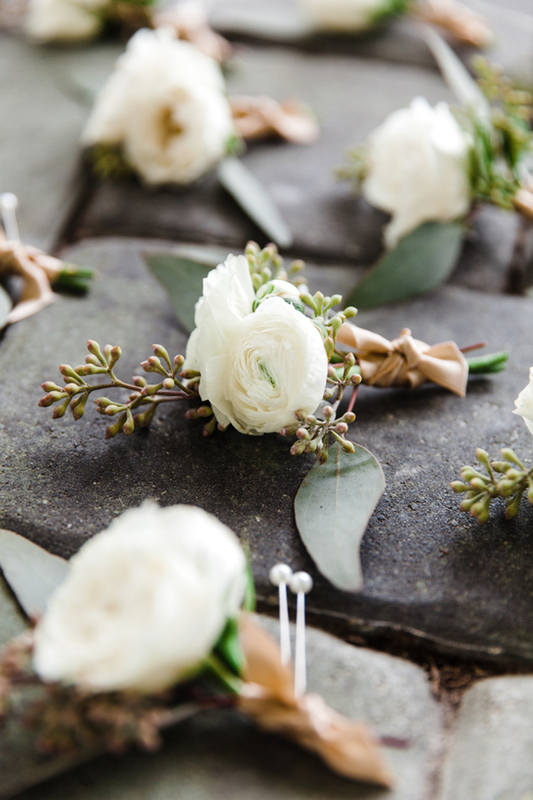 Kimberlee held a beautiful, loose bouquet of white peonies as the two off them said their I do's under the canopy of an oak tree. 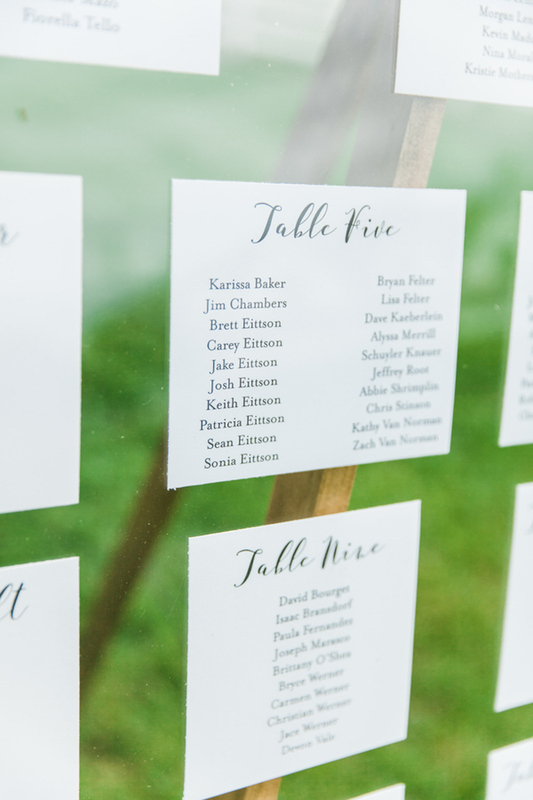 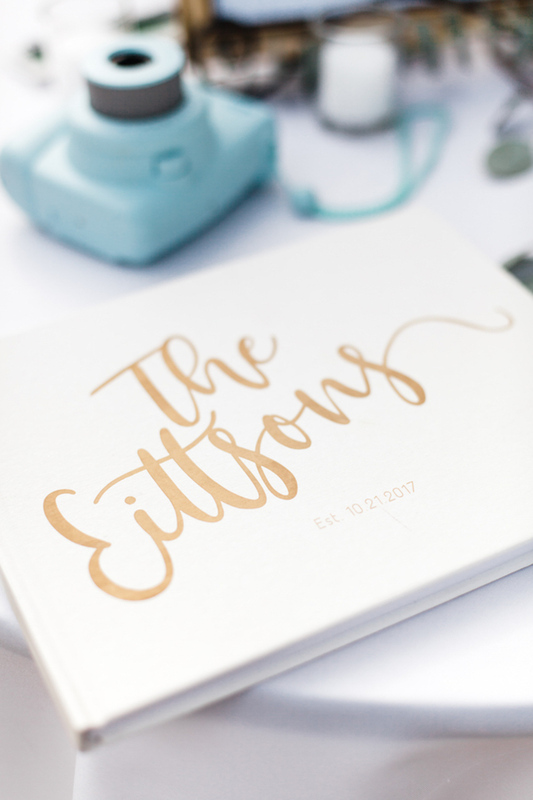 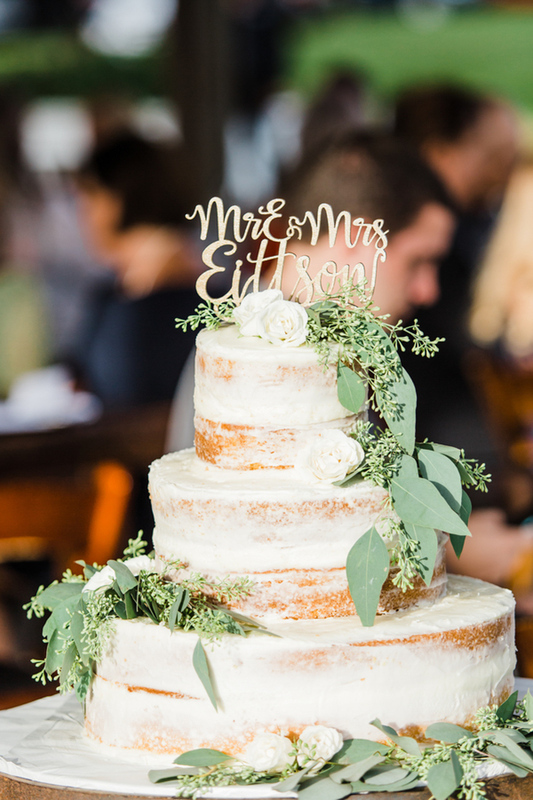 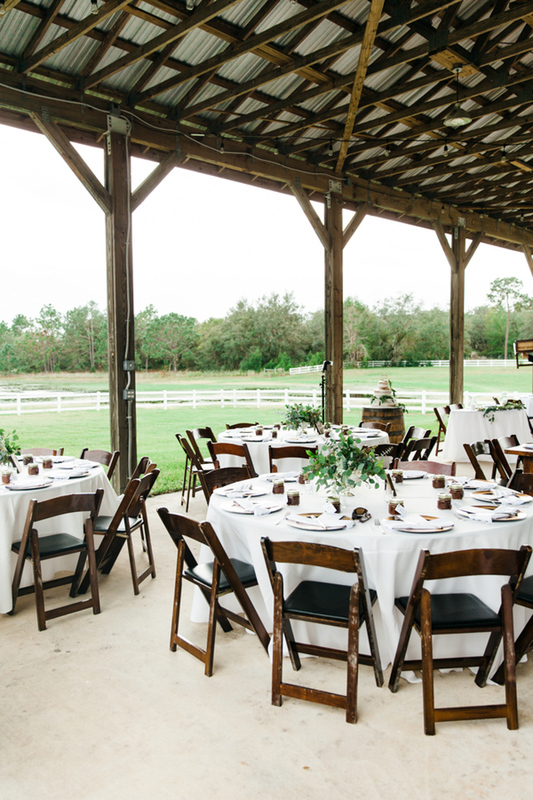 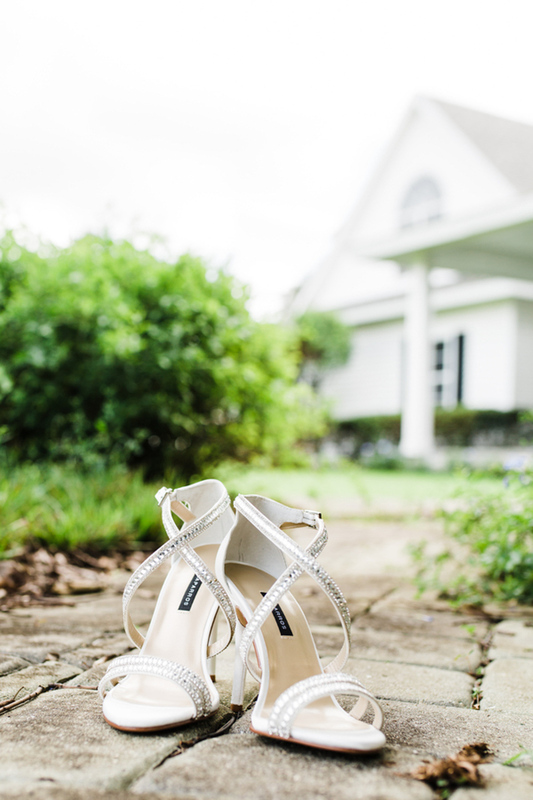 The newlyweds made sure to incorporate tons of fun details into their special day. 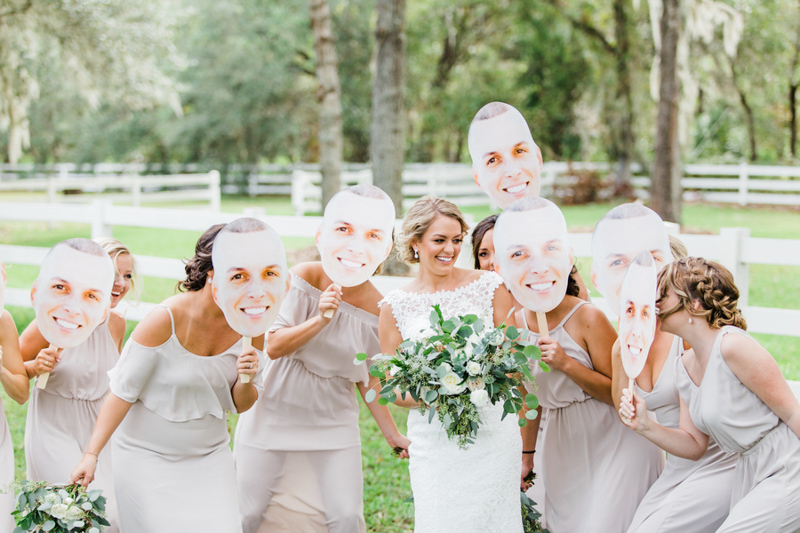 During their bachelor and bachelorette parties, Kimberlee and Kyle had cardboard cutouts of each other's heads on a stick, and of course, the cutouts made it to the wedding! 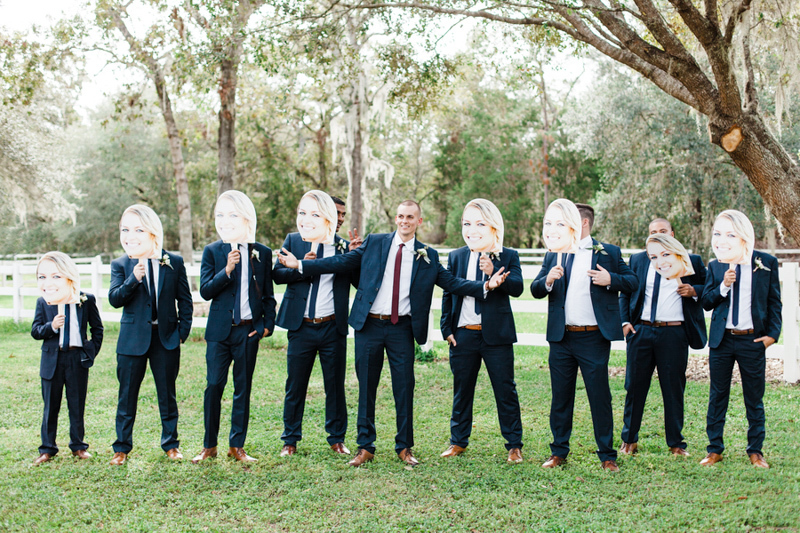 The bridal party couldn't stop laughing as they posed with their special props. 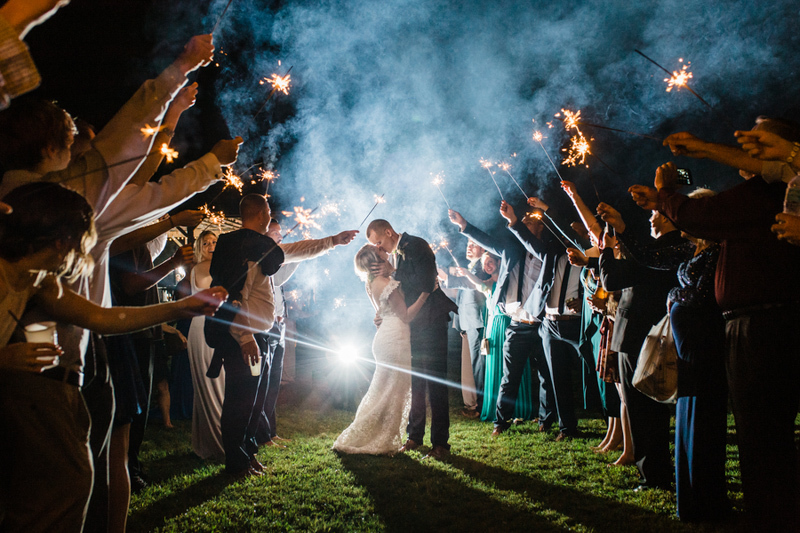 After portraits all around the estate, the bride and groom joined their family and friends for an outdoor reception. 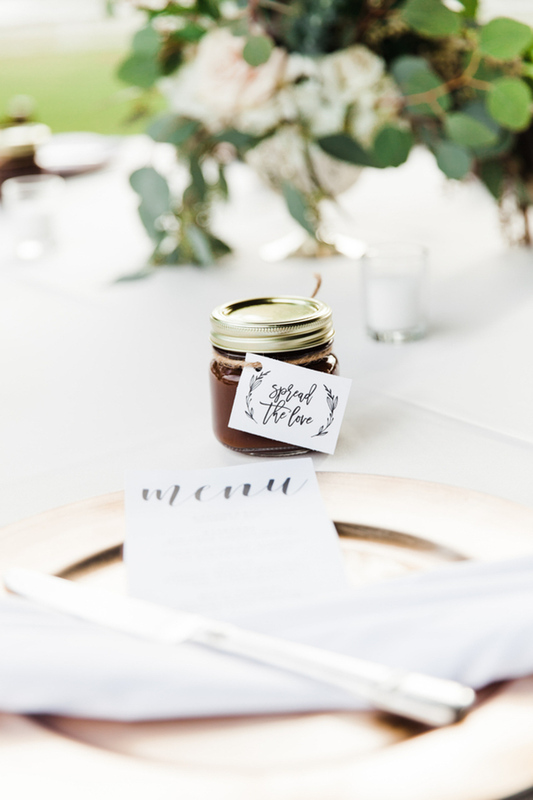 Each place setting was also set with a yummy spread in a mason jar for guests to take home, and more peonies and greenery decorated the center of ever table. 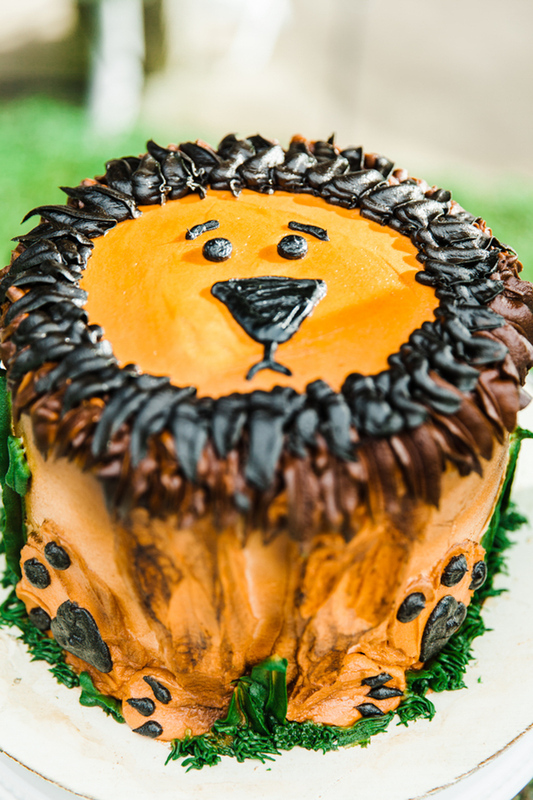 Kimberlee and Kyle added in one more personal detail with a groom's cake decorated like a lion. 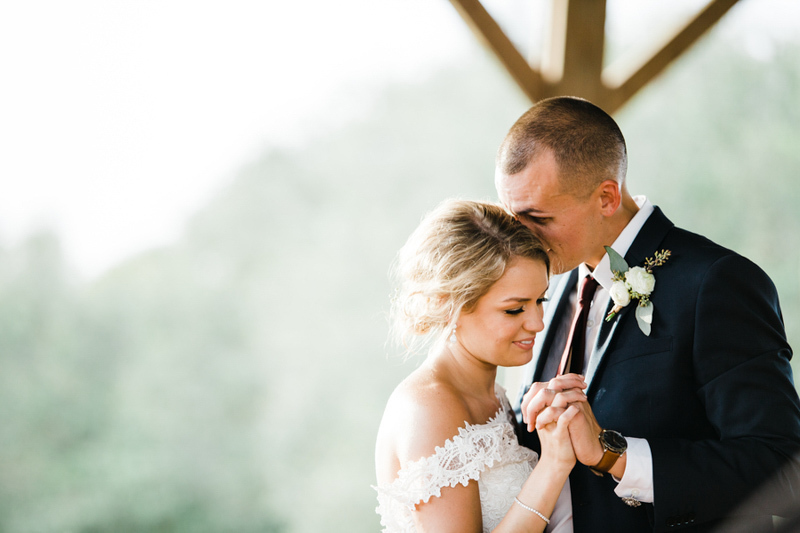 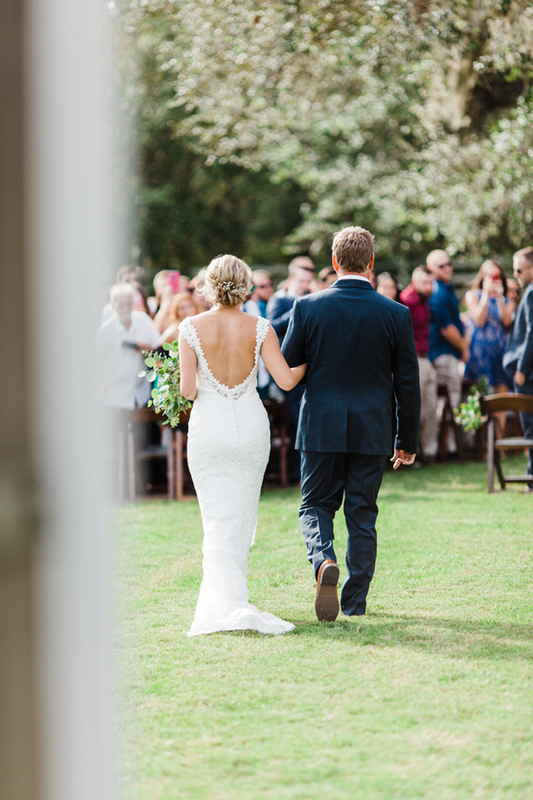 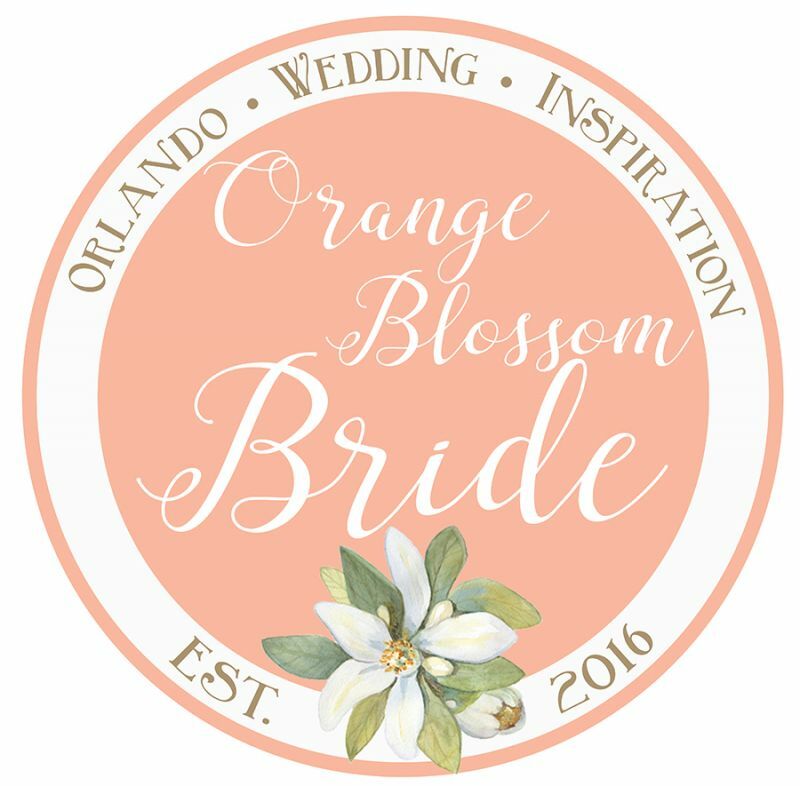 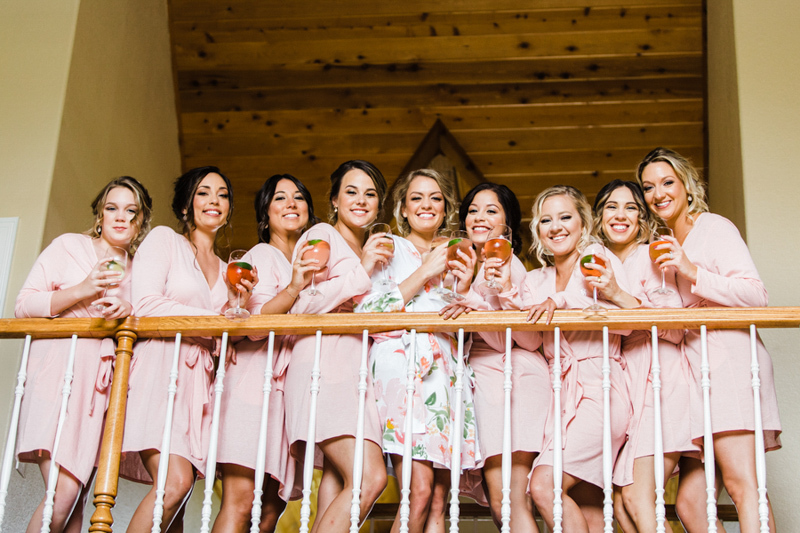 Check out more of their wedding day moments below!